Part 1 of 3: In the introduction, Director Grace Song shares stories about the place and power of knowledge in the Muslim experience, especially as an American convert confronting "Modern Day Muslim Urban Myths." She answers the question of how her life is better after becoming a Muslim; what a typical week looks life in the cause of knowledge; and the economic fallout from not investing in knowledge. She and Dr. Abou El Fadl talk about saving Islamic manuscripts. Dr. Abou El Fadl gives insight into the devastation against Islamic manuscripts and what it means for decolonizing Islam. He discusses the current state of the Muslim world and how Muslim countries are effectively paying jizya to the West for its protection. Part 2 of 3: Dr. Abou El Fadl continues his original commentary on Surah al-Rahman, covering verses 15 through 25. 1. Do Muslims have a theory of justice? 2. What is the value of Muslims going into academia? 3. Is islamic Studies as a field colonized? What will it take to decolonize? 4. 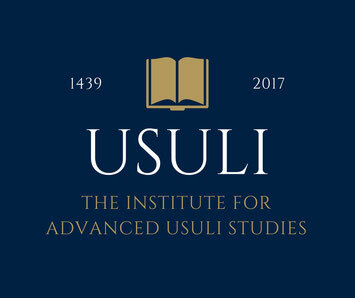 What does the Usuli Institute seek to offer given the current environment? 5. How did being in academia not shatter your beliefs? 6. To what degree does the search for beauty in Islam require an experience of pain? 7. Why are there no female prophets? 8. How were you able to be a successful and openly a practicing Muslim throughout your career in academia? And more!